War may be hell, but it can make for great television, as Ken Burns proves in his masterful 11-hour PBS series chronicling the deadliest war in American military history. 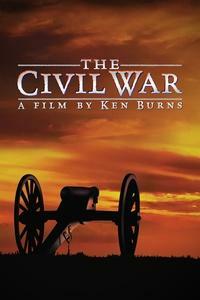 The Civil War was a landmark TV event that held record numbers of viewers riveted to their screens and reinvented the documentary form. Taking full advantage of the fact that the Civil War was the first war to be captured extensively on camera, Burns synthesizes evocative archival photographs (among them, Matthew Brady's emblematic images of Union soldiers) with diverse and illuminating narrative voices. Well-known actors read diary entries, letters from the front, official dispatches, and speeches from the era. These voice-over readings convey the full range of human fears and hopes of those shaping and being shaped by the war, while an engaging group of historians (most notably Shelby Foote) provide historical perspective. The result is a seamless collage that illuminates, with quiet nobility, this most painful chapter in our nation's past. It's been said that history belongs to the victors; like Homer before him, Burns demonstrates that a major chunk of it belongs to the best storytellers.